India is producing maximum numbers of IT professionals in the world. Yes, it is true that the Information technology is a continuously growing sector in India. Today, when the country is ready to write a new growth story, the IT sector is broadcasting its success level. You could ask about the key elements behind its visible growth. Top NBFCs in Delhi, Mumbai, Chennai, and Kolkata are the other factors initiating the job creation in an increasing rate. However, the sector which is producing maximum numbers of jobs is not static; it is continuously moving towards a better level. When we talk about long-term growth, infrastructure comes first which is based on the real estate and the transportation sector. House for all is the prime initiator of Indian real estate while the road construction has taken an outstanding speed. However, the smart city mission is the other initiator of Indian infrastructure sector. Aiming to grow the job creation sector, the Indian government has taken an initiation to push the manufacturing sector. Interestingly, the Make in India scheme is inviting the foreign investors to invest in India which is directly pushing the emerging FINTECH startups. During the Make in India Week, this year, India has received a magical amount of US$230 billion for the very first time. Owned and operated by the Ministry of Railways (Government of India), and covering 115,000 km; Indian Railway is known as world’s largest railway network. 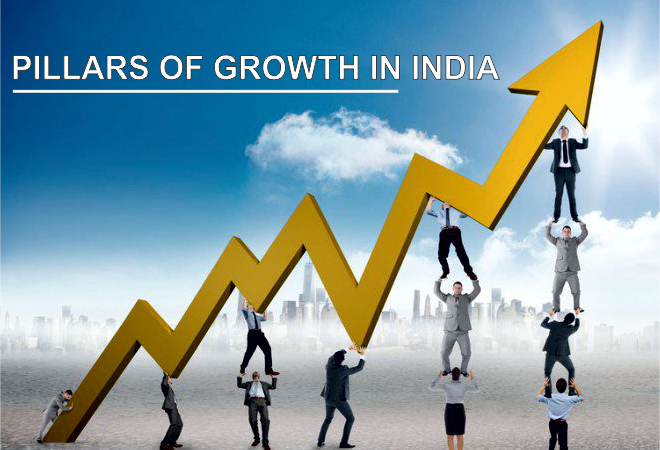 Contributing a major portion of India’s GDP, it is playing one of the key elements of our growth. With the recent developments, during last 2.5 years, it has increased its performance up to certain. Reportedly, IR has carried more than 8 billion passengers in 2015-16 FY, which is expected to be increased in the days to come. Obviously, it is one of the main pillars of our exponential growth. With the maturation of manufacturing sector, India is eyeing on its export which is directly proportional to our growth story. At present, India is exporting petroleum products, pharmaceutical products, engineering goods, agricultural & allied products, chemical products, and textile products to UAE, USA, China, Singapore, Hong Kong, Netherlands, and much more. Surprisingly, the volume is expected to be increased in the years to come. However, the startups Digital FINTECH Platforms are helping the country in eyeing on more growth. How far the Lion of “Make in India” has reached in two years?